Still, I have a soft spot in my heart for this one. Me too. And except for the color, their Smaug was wonderful. Imagine that: an animated children’s film that, despite any flaws, manages to be fun and entertaining while demonstrating just how bloody easy it is to remain respectful and faithful to the source material on which it is based. I think the biggest surprise for me of the voice actors was Brother Theodore voicing Gollum. 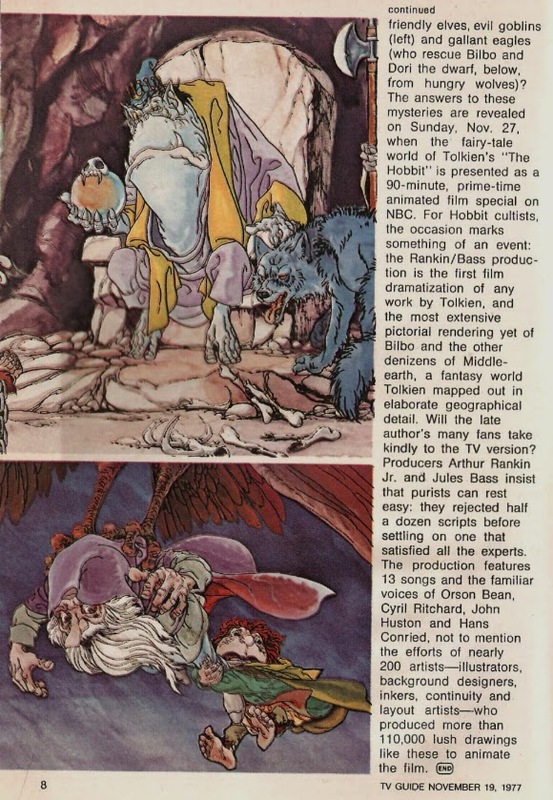 I bought a Rankin/Bass Bilbo Baggins poster from Scholastic Books when I was a kid. It hung on my closet door for years. First saw this is in 1987. Got me to read the book and afterwards the Lord of the Rings which then as now is my favorite book series of all time. Loved the Japanese style animation on this and the Return of the King animated movie by the same studio. I bought the VHS of the movie which wore out because I probably watched it about 100 times. My friends and I never thought back then that we would ever see a live action film version of the Hobbit or the Lord of the Rings. Every year we hold a film marathon at each others houses where one night is the Lord of the Rings films back to back and a month later we get together for one night and watch the original Star Wars triology movies. A highlgiht was 5 years ago when I reived both animated movies on DVD. Great memories from the Hobbit animted movie. Very cool. I remember The Hobbit like it was yesterday, but I’m hazy on The Return of the King. I know I watched it, but the details escape me. SO good. This is one of my favorite animated films, and it’s overflowing with talent. I take a lot of crap from people I talk to because I think Peter Jackson is a big, fat waste of skin and has no understanding of the source material, and showing them this film shuts them up. No doubt, Tolkien probably wouldn’t have been satisfied with any adaptation of his work, but I do believe he would have been happiest with THE HOBBIT, and mortified at this current and shameless abomination. God, you took the words right out of my mouth. 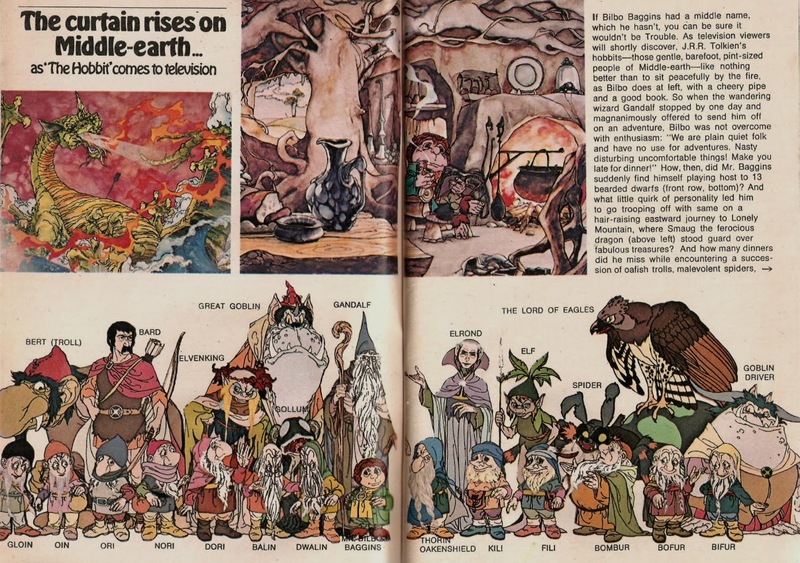 Amazing how this little cartoon from the 70’s managed to capture the gentle spirit, the fun, and the adventure, of the book, far better than nine hours of big budget tedium in 2012-14.